There has been quite a bit of discussion on active defense and hacking back lately and, once again, it seems that many of the discussion points seem to fall into basic categories of revenge hacking and no active defense versus traditional defenses. But is there a way to think about active defense in such a way that it is neither controversial nor giving up? First, a thought experiment in threat modeling because buzzwords are fun. Take a few moments and think of three AV companies. Please take a moment and write them down. Now, take a few moments and think of three IDS/IPS/firewall vendors. Please write them down as well. Next, take a few moments and write down your major threat actors. We usually see organized crime on this list along side various nation states. Ok, one last question, do you believe the threat actors you listed have the ability to bypass the technologies/vendors you listed? The answer without question is yes, they can. But why? The reason is quite simple when thought through. In most organizations, the security technologies used are often the same technologies, deployed in roughly the same configuration again, and again, and again. It is easy, if not trivial, for many attackers to purchase the same technologies you use to defend your network in the efforts to bypass them in a lab setting before they even attack your network. So, before a single evil packet is slung, they know they will get in. They also know they will not be detected. How does an active defense posture assist with this? Simply put, it introduces a little chaos into network security architectures. If attackers don’t know what is there, they will make mistakes. These mistakes are key when improving detection capabilities. Active defense can be broken down into three main groups: annoyance, attribution, and attack. It helps to break active defense down like this because it allows this defensive tactic to be much more than "hacking back." Annoyance: This is where we try to increase the amount of work effort an attacker needs to put forth to attack a network. This can be achieved through honeypots, bogus DNS entries, and infinitely recursive web directories to stall or break web crawlers. Even IPS systems, which take an active response to attack behaviors, can be in this category. This can also be called security through obscurity. It has been said that “security through obscurity is no security at all.” This phrase is catchy, but not true. If you are properly monitoring the points of obscurity the attacker may mistakenly fall into, it can greatly increase your detection dates. For example, let’s say an attacker scans the ports of one of your external systems. Let’s say that it appears that every port is open and responding with a different service profile. How long do you think it would take for the attacker to find the real ports? In the process of doing so, would they trip alerts along the way? Tools like Portspoof do just this, and can be highly effective deterrent/detective components of any defensive architecture. Attribution: This is where we are trying to unmask the attackers. This can be done via Word web bugs, applets, ActiveX controls, and macros to identify the IP location and geolocation of attackers. This phase is great for incident response and for identifying more advanced attackers trying to break into your networks. Attack: This is where most people think active defense takes place. It is hacking back using pentest tricks like fake websites with malware embedded in them, macros for remote access to an attacker’s system, and lurking for specific intel about the attacker. I will keep this simple: Do not do this phases without fully executed warrants and the participation of law enforcement. If this sounds a bit overwhelming for some of you, don’t be discouraged. There is a free distribution toolkit called the Active Defense Harbinger Distribution, which has all the tools one would need to get started installed and ready to go. There is even a usage document on the desktop with full, step-by-step directions on how to use each tool. A few additional words of caution. First, never engage in hacking back for revenge. Without a warrant. it is illegal. It is also wrong. Second, there are more than a few people who caution against active defense because the attackers may get angry and trash your network. This argument is the equivalent of giving up. Finally, there are some who say we need to focus on the basics and fundamentals first. I would say this, too, is incomplete. Active defense is something that can complement and extend traditional defenses. The two are not in conflict; it is not an either/or situation. 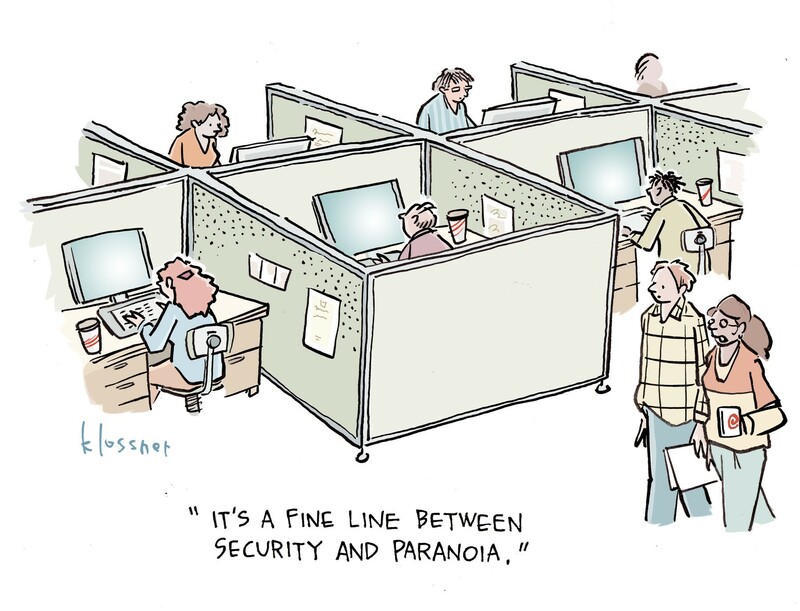 One finally thought: When you started in security, did you think it would be waiting around for the next breach? Did you think it would be reduced to babysitting various tools? Or did you think it would be a dynamic field where you would go against attackers and track them down? Traditional defenses can be effective. They just need to be a little more active.